Are you ready for a TRULY UNIQUE experience? If you could super-charge your brain, mind, and spirit under your own terms would you be interested? Brain-Wave Activation(BWA) utilizes the breath, gentle movement, and ENERGY(derived from a system of Harmonics/crystal/vibrational energy) to activate and energize the PreFrontal Cortex (PFC) of the brain. The PFC is regarded as the “Executive Director” of the brain. And, the PFC is associated with complex cognitive/personality, decision making, joy/bliss, creativity, and even will/drive/desire to live. The PFC has also been identified as the area of the brain responsible for helping you achieve defined goals and successes. This is VERY important to the success/prosperity –oriented individual. Each BWA session lasts an hour to an hour and a half. And, with each session you go progressively further. You can expect a sense of deep serenity. But, unlike a meditation, there is a sense of motion/journey, directed by YOU. You remain conscious (NEVER in a trance) at all times. When you have a session with Dr. Allen he will do a pre-session and post-session video to show you the very real changes that have occurred in just over an hour. Brain-Wave Activation is the healing technique developed by retired chiropractor, Dr. Allen J. Harrison. After more than 3 decades of serving patients, on an elite level (Olympics, Pro athletes, Entertainment industry, etc. 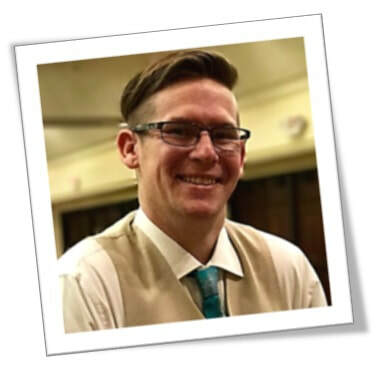 ), painful joints from a birth defect connective tissue disorder, Dr. Allen chose to leave chiropractic, and to serve on a higher level. In 2007, Dr. Allen formed a healing mission and Brain-Wave Activation emerged in the years following. To date, Dr. Allen has performed over 3800 BWAs, and trained 11 facilitators across the country (including a doctor, and two nurses!) to perform Brain Wave Activation. discover fulfillment in both their personal and professional lives. Using his intuitive gift, he answers questions with messages of hope that ease fears and provide a sense of peace and confidence. Bob's clients will tell you they always end up feeling relieved and better connected to what is most important in their lives. Bob The Psychic appears at many events each month across the Phoenix Area including the Phoenix First Friday Artwalk near the corner of 4th Street and Roosevelt. Bob is also a reader at the Arizona Renaissance Festival and was invited to join the “Best American Psychics” group where he offers phone readings to people from around the world. You can find many reviews from Bob's clients by looking up Bob The Psychic in Scottsdale Arizona on YELP.com. 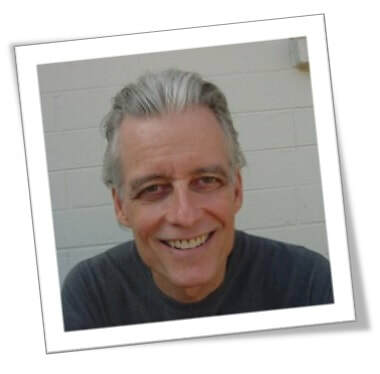 For more information about Bob and to book a consultation, visit BobThePsychic.com today. Bobbi Tolliver. I am Independent Distributor for Young Living Essential Oils. I have a passion for helping others remove the toxins from their homes and bodies. I teach various essential oil classes throughout the Valley. My name is Bobby, founder of Everglow Energetic Resource. I've been doing hands-on energetic healing for over 20 years. I got into it because I love to help people heal. The work I do not only can help the physical body, it can help the mental and emotional bodies as well by putting you in a deeply relaxed state and connecting you, more fully, to your own energetic resource within you. This is where healing begins and can be sustained. Connection Is The Key! Trained as a *counselor - psychotherapist, Cheryl has been divinely led to the practice of Transformational Life Coaching. Ask about her near death experience that changed her life! Consider how much time and energy we expend by attempting to overcome the anxieties, fears, depressions, and coping behaviors of our genetic ancestors? What about the energy we use by defending against the learned behaviors that we have experienced or witnessed since our birth into this life? Each of the emotional energy zappers, affect our very sense of survival. Emotional detoxing using both coaching sessions as well as offering Mirorcore & Solaris Plant Science products for cellular protection and whole-body support. Transformational coaching removes the pathological or pathogenic aspects that the medical disease model of mental disorders prescribes. No longer is the client viewed as ill with a diagnosis in need of treatment. Transformational coaching develops a working relationship in "creating a future", rather than "getting over" the past.Coaching sessions are a safe and supportive space for personal growth and change to take place – a journey of self-exploration we take together. Holistic is the combination & inclusion of Mind, Body and Spirit. Education: Master's degree in Counseling Psychology through Argosy University (2007), 3 classes remaining for Ph.D. in Clinical Psychology from Capella University. Also, pursuing Doctor of Philosophy, Ph.D. specializing in Transpersonal Counseling through the University of Sedona. *counselor - therapist (psychotherapist), adheres to the concept of the medical disease model of mental disorders prescribes. Mainly, that the client is viewed as ill with a pathological or pathogenic diagnosis in need of treatment. About Chris Campabello. Enthralled with the beauty of nature since childhood, Chris has pursued the study of Arts; Fashion Design, Art History, Culinary Arts (creating 4 restaurants) and after training at the Gemological Institute of Gemology, designs and fabricates gemstone jewelry. Additionally she has studied various alternative healing modalities, ayurveda, herbs, aromatherapy, meditation, and energy healing. In 2014 she discovered the healing component, cannabidiol, and has since pursued creating an independent line of healing extracts and topicals, sold at various locations in several states, as well as online at CBDNutritional.com. Her path is one of caring and sharing of the loving energy from the Divine. 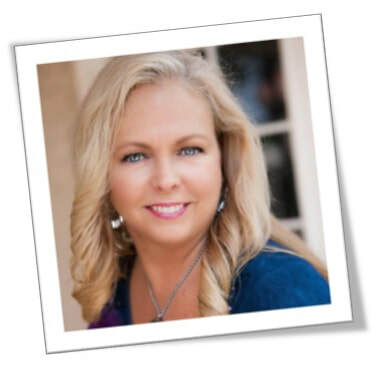 Chris, utilizes her broad assortment of knowledge to illuminate, release, rebuild and nourish her clients with love. Christine Nicole was blessed with the gift of being a Psychic Medium and began giving readings and connecting with spirit at the age of two. Her earliest memories are of hearing, seeing, and feeling the presence of those in the spirit and angelic realm. She may also experience a sense of their personality, names, scents, memories and other specific details that she will share with you. She has helped many with the grieving process by connecting with loved ones who have passed. She is known for her ability to deliver messages that bring healing, closure, and a deep inner peace. She has a uniquely direct and clear style. Her straightforward and honest presentation of information is a breath of fresh air that helps you understand the details that comes forth with clarity and ease. She does not use Tarot cards or any other tools in her sessions. She is a clear channel to spirit. 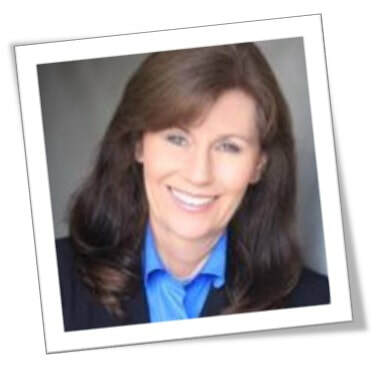 Christine Nicole also helps clients gain a broader insight into their soul purpose and life path including relationships, love, family, career or business. 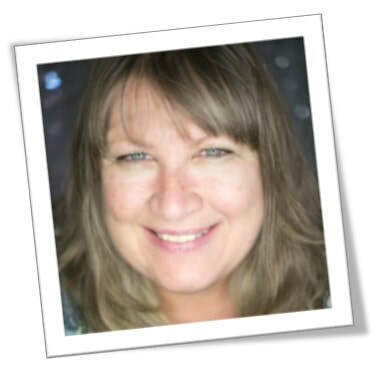 Christine Nicole offers Psychic Readings, Mediumship,Business Coaching, Life Advising, Matchmaking and Intuitive Kids Mentoring. Elizabeth Martina Bishop started her life as a ballet dancer and now writes prose poems, prose, essays and short stories. She has published more than 60 poetry collections and is currently undergoing the acquisition of a second doctorate in women and spirituality at CIIS/ San Francisco. 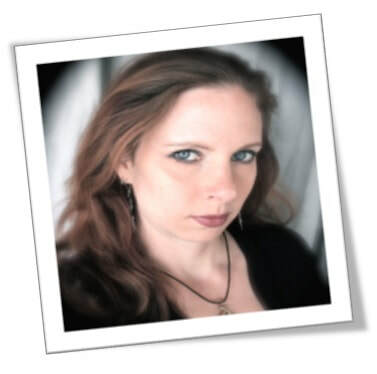 She is a gifted tarot reader, handwriting analyst and is skilled in dream interpretation. She has been a traveller all her life, and that life experience combined with her natural psychic abilities makes her one of the many wise woman on this planet. ​ Grace Ironside is an Intuitive Animal Communicator. She grew up in a highly spiritual family, who taught her the importance of using her gifts. As an only child, animals were her first friends and she could communicate and understand the Animal Kingdom from her first memories. Her perspective when she was young was that all people could communicate with animals. As she aged, she realized she was not like most of the people she knew. Today, her passion is to be the voice of animals who cannot speak for themselves. She can help those seeking closure from pets that have passed on. She can also help resolve current pet behavioral problems. In addition, Grace can assist in finding lost furry friends. All Grace needs is a photo of a beloved pet, living or passed. She understands the pain of lost furry family members, and will work hard to help resolve problems; past and present. Group Harmony- Creating a happy household. To contact Grace her number is 480-343-5375 and her email is gracesanimalwonderland@gmail.com and she is also on Facebook. Helena ( Prana) is a spiritual mentor, channeler, intuitive Energy Healer, a conduit for the Divine Light and Grace, master of the Releasing Technique . She does guides others to heal themselves through purifying the energy field, releasing repressed toxic emotions, forgiveness work, self awareness and empowerment techniques. Using her intuitive abilities of seeing, feeling, and direct knowing, she feels the blocks in others and is able to release it.In her life-transforming “Deep Transformational and Consciousness Elevation" sessions, through self examination and special releasing techniques from tantra, she guides clients to dig deeply within themselves and unlock and purify their hearts, minds and bodies. Through a guided process, she assists participants in transforming inner fear to love, anxiety to peace, sorrow to compassion, pain to joy, confusion to wisdom for a life-changing experience. Clients immediately experience clarity of mind, love and peacefulness of heart, and a big shift in energy and consciousness. ​Hydroxia, aka Lady Sara, originally comes from the Upper Mid-West,from rather humble and challenging beginnings. She has been learning how to live with and effectively use her gifts ever since childhood. After 20+ years of studying metaphysics, she has finally embraced her talents using tarot and oracle cards to help others in a unique and spiritual way. 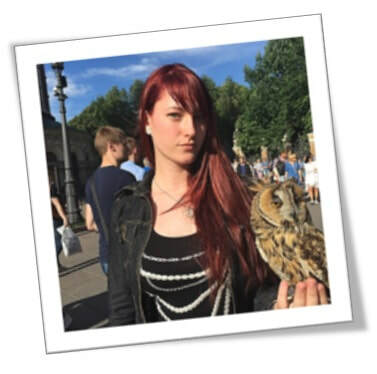 With a thirst for knowledge and emphasis on spiritual growth, Lady Sara has learned many different and exciting card spreads, including (but not limited to): Life Path, Advisory, Relationship, Birthday, Past-Life, Success, and Fence-sitter. During a session Lady Sara channels your guides and angels, delivering important messages and images as they come (typically in addition to any of the above mentioned card spreads). Hydroxia is also an alchemist of sorts, superbly combining essential oils and blends to make Griffin Magic Mist: and Aura and Atmosphere enhancer (6 different kinds). Hydroxia (aka Lady Sara) currently resides in the Phoenix Metro Area. Solutions/systems for weight loss, energy, performance, healthy aging and skin care. I will also have info on our Healthy Mind and Body Program that we offer. John’s emphasis is on reaching channeled contact, receiving whatever specific information that those in spirit need to get across to the sitter. John can be reached at john@sunlightafter.com. 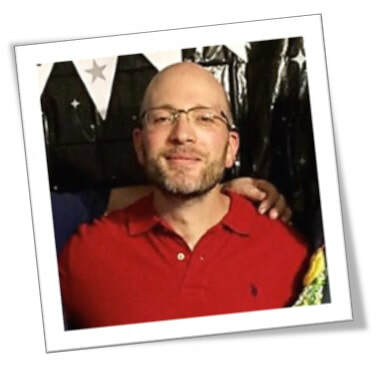 Josh is a Psychic Medium with 10+ years of tarot reading experience. During a session, he connects with the surrounding energies while navigating through the tarot’s wisdom to deliver any messages channeled for the highest good. Josh is also a Reiki Master and practitioner of core shamanism. In his experience, energy work and the tarot compliment each other in mending the spirit and restoring your personal power. 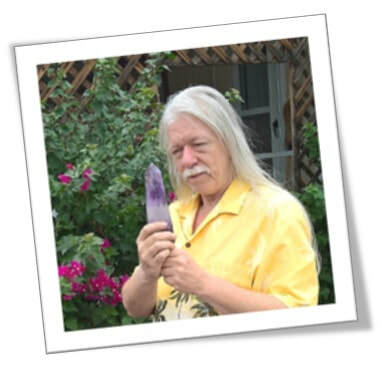 He has taught classes from tarot reading and candle magic, to psychic development. Josh is candid and direct. You can expect nothing less than honesty when receiving any of his services. 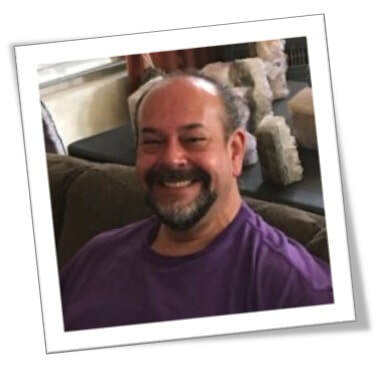 Giampaolo (JP) Lomeo is one of the very few “Reconnection® Certified Practitioners“ offering Reconnective Healing® and the Reconnection® in AZ. This powerful, new healing modality is composed of a vast spectrum of inter-dimensional frequencies of Energy, Light and Information. Embodying Universal Intelligence and surpassing every other energy healing technique and modality, these frequencies are accessible to all, regardless of spiritual beliefs or any prior experience with healing. These healing sessions are deep, powerful and life changing, unlike anything you have ever experienced before. 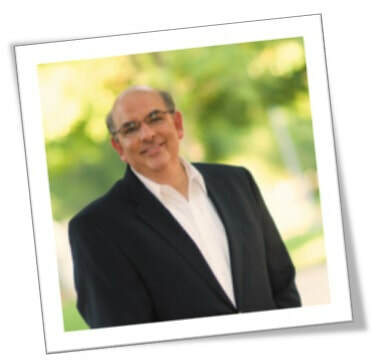 Giampaolo personally studied with Dr. Eric Pearl, the Founder of Reconnective, in 2006. He is a dedicated student of spirituality, and has been meditating daily since the mid 1970's. He is very passionate about this work! and a Reconnective Healing Levels I/II/III Professional Healer since 2006. 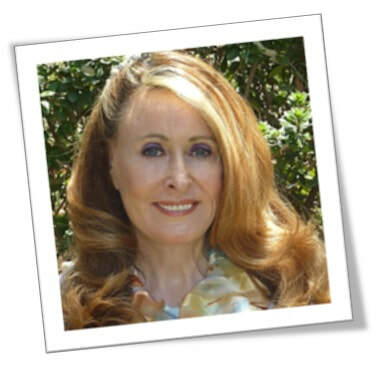 Karen Dominguez-Cavin is a 4th generation Healer, Medium & Channel. She is also a Zento Master, Teacher and Ordained Minister. When Karen is doing a Healing session, the energy she works with is called Zento energy. This energy is channeled through Karen as she works with Angels, Guides and Beings of Light. She is aware of her surroundings. Karen explains that when the sessions are taking place, she steps out of the way and allows the healing energy to flow through her as she sits upon her own shoulder to watch as each client is treated. Zento is a Japanese word that means “A Way Forward”. Zento energy is here to help those looking for A Way Forward in their spiritual and physical life. Karen, checks and then balance and heals your Chakras to improve all aspects of your life, Mind, Body and Soul. 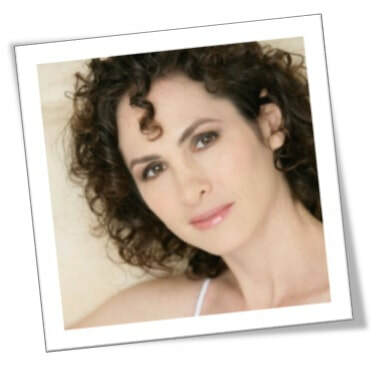 Karyn Diane Gong Master/StormClearer is a Performing Artist, Visionary and Certified Clinical Hypnotherapist. 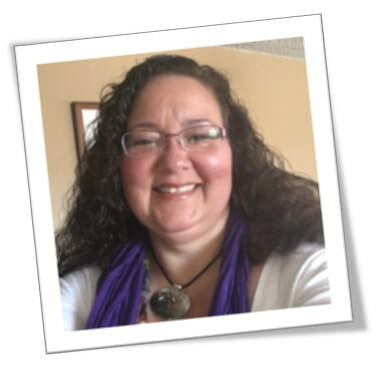 Gifted with a passion in the healing arts, She is the founder of the Gypsy Trader Studio of Healing Crystals and the creator of “StormClearer” Sound Vibrations for Higher Awareness. 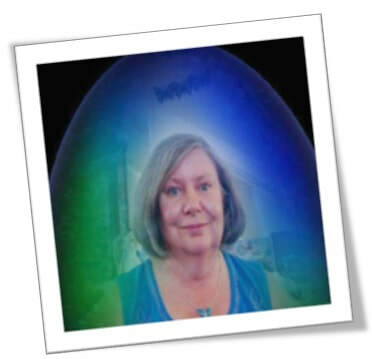 Karyn Diane will be offering Aura Photography Readings. The Aura Photos are taken using Kirlian photography a bio-feedback system that measures your electromagnetic energy field and displays your colors. What does your Aura reveal about you? What are your possibilities? What are your gifts? The answers to life’s many questions may be found in your personal energy field. Come, find out! Have your aura reading with Karyn Diane using her gifts of insights for guidance and a clear vision. Karyn Diane creator of the StormClearer’s - Jewelry Collection designed for the Man or Woman of Distinction! These Inspirational Energy pieces are created with an excellent array of crystals/gems for transformation back to love and joy! She, too will be showcasing the “Intrinity,” know as an alchemical tool, Oneness jewelry created with Ancient Symbols of the Trinity of Man. (Body, Mind, Spirit) It’s all about the energy with Karyn Diane! So come and discover what it is that is attracting you, calling you and demanding your attention! Specialty Crystals: 1.) Moldavite is known as the stone of the Holy Grail, the Emerald that fell from the sky, a stone for the time of transformation and change. 2.) Shungite the stone found in Russia, being called medicine for the 21st century 3.) Selenite/Moldavite Powder a most powerful combination for clearing and cleansing one’s personal energy as well as space. Learn about the amazing properties of these stones and more! Katie Shell, connecting you to your own healing energies. The heart of Katie’s practice lies with our plant & tree allies as an intuitive medicinal aromatherapist. There are an infinite number of ways to experience love, the Mother Earth presents us with the plant essences (oils) to help us understand that love each in their own unique way. Katie has been working with essential oils for 10 years. She is a trained distributor for Wisdom of the Earth, a small education based company near Sedona that is dedicated to honoring our Mother Earth and raising consciousness. Katie has extended her plant knowledge beyond essential oils and into herbalism, offering hand crafted salves, salts, and custom teas to compliment her practice. When looking to balance her deep rooted connection to the Mother Earth with something more ethereal she was lead to train in Traditional Usui Reiki, and incorporates that into all levels of her healing practice. Crystals also play an key role in her work, both in treatments, and in energizing products. Early on in her journey Katie was drawn to belly dance as way to celebrate the female body in all of it's stages. She has shared this passion for women to learn to love their bodies through dance during the many belly dance classes she has offered. In more recent years she began working with various forms of conscious dance for her own personal journey. It was on the dance floor that she was inspired to bring it all together for her unique workshop series Essential Dance. Essential Dance brings guided and free-form dance together with essential oil anointments to create deep connections with our physical, emotional, and spiritual bodies. Katie is a Priestess and student of the Mother Earth, which calls upon her to constantly be learning about the energies that surround us, the rhythms of the celestial bodies, and the tools that we have been given for our journey. 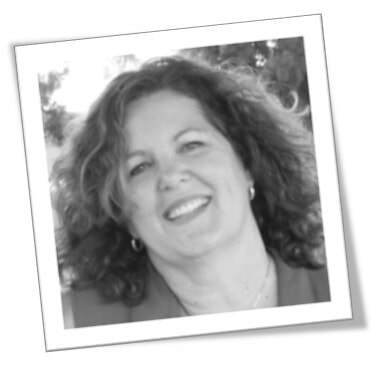 She is passionate about sharing what she learns with her students, clients, and piers. 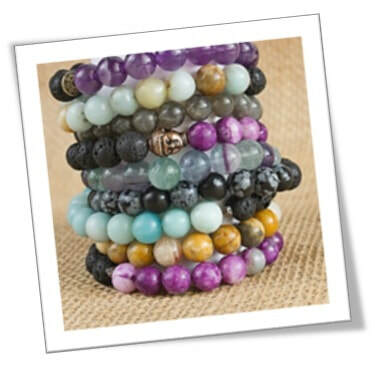 We have a selection of beautiful, handcrafted aromatherapy bracelets. Each bracelet incorporates all natural black lava rock, which can be used to diffuse essential oils due to the porous nature of lava rocks. We only use high-quality natural gemstones to create our bracelets. Gemstones have many different healing properties. We label each bracelet with the beneficial properties of each gemstone used. We have also started creating lava bead necklaces and earrings! On occasion we all need some advice. That’s why Luna Sava is here! She has been helping people to sort out decisions that need to be made in their lives. She can give you clarity about life purpose, career, self-help, moving and relocation, personal and professional relationships, and family. The special knowledge that she has can save you heartache, and grief. If you missed her at the fair, then come to the Phoenix First Friday Artwalk! Luna’s table will be set up between 2nd and 3rd Street on Roosevelt. Lynne Cockrum-Murphy is a masterful intuitive, healer and counselor dedicated to help you achieve your goals. 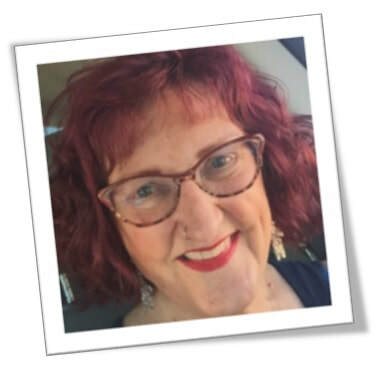 Whether you have questions and need answers, want a specific reading or want to remove limitations in your life, Lynne can help. She accesses higher guidance and removes limiting beliefs which leads to change in your work and life conditions. She helps you achieve a happier, freer state and to embrace an expanded sense of self and possibility. Utilizing multiple methods such as ThetaHealing®, counseling skills, and accessing divine guidance, her genuine, kind and gentle manner helps with relationships, emotions, fears health, and spiritual growth. She also offers online courses and teaches ThetaHealing®, meditation, Access Bars® and Unfolding the Mystery of Self in north Phoenix. 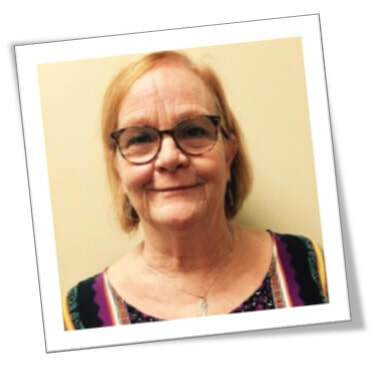 Lynne is a retired special education teacher and university professor with a doctorate in educational administration, is a licensed substance abuse counselor and is the author of three books including Living Hope and Unfolding the Mystery of Self. For information about upcoming classes and speaking engagements sign up for her monthly newsletter at www.LynneCockrum-Murphy.com Also you will find testimonials from students and clients there. Our salt mats will bring you all the relaxation of a salt cave in a convenient, portable mat. Our clients have used them to sleep deeper, to reach a deeper place of relaxation while meditating and doing yoga. They are also beneficial to practitioners like hypnotherapists; massage therapists and energy workers to help their clients relax to a deeper level. We have received many amazing testimonials about how our mats have helped calm their anxiety, relieve joint and muscle pain and we even had a pregnant woman tell us it relieved her heartburn. Pet owners have noticed that their pets are drawn to them to relieve anxiety and pains too. Our mats work with each person’s energy to help bring it back into a state of balance. We have mats with Velcro that allow you to create any size and shape you want and also mats without Velcro. They are proudly made here in America. 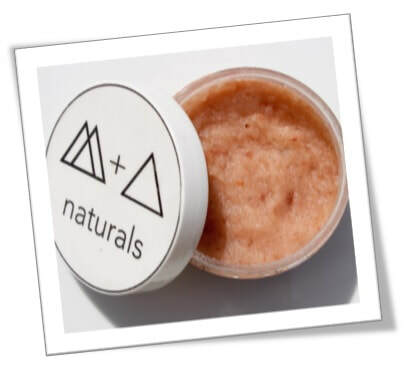 We started M+A naturals to share our love for honest, natural and effective products that inspire holistic living. We believe in ethically sourced materials, ingredients that can be trusted and harnessing the power of nature. We currently offer, skin care and home care products. It’s our hope that M+A products enhance you life as much as they have ours. Machelle Glassburn is a certified hypnotherapist. She received her certification in 2010 from the nationally accredited and respected Southwest Institute of Healing Arts in Tempe Arizona. Machelle works with all sorts of clients to help them access their subconscious programming to reach their highest potential and clear out any unwanted programming that may be holding them back. 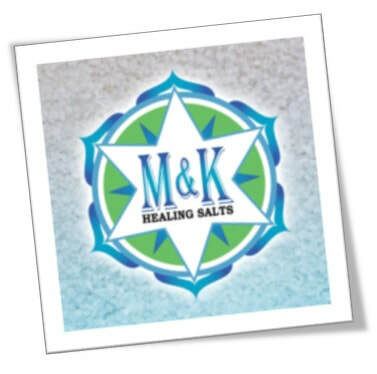 Machelle likes to use M&K Healing Salts’ mat with her hypnosis clients to help them achieve a deeper state of relaxation. Her clients love it and she feels it offers them a better experience! 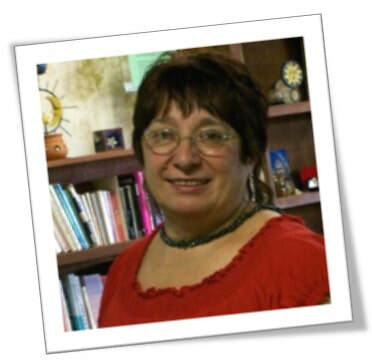 Maggie Norton has been a student of Tarot and Metaphysics since 1994. She apprenticed with a Professional Astrologer, Tarot Reader, and Karmic Counselor for sixteen years. During her studies she gained an in-depth understanding and relationship to many spiritual concepts and belief systems. She has a truly inspirational teaching style and is very encouraging with anyone’s studies. Her passion is contagious which makes her an amazing spiritual counselor. 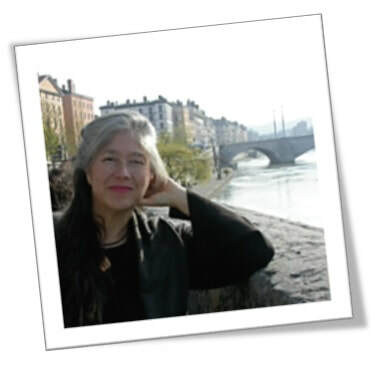 Maggie has done readings for twenty-three years and has taught many classes on the Tarot, Astrology, Self-Help Jin Shin Jyutsu®, Remote Healing & More. Currently, Maggie lives in Phoenix, Arizona. Maggie has been learning the Healing Arts since 1994. She excels at Remote Healing and prefers Jin Shin Jyutsu® and Craniosacral Therapy with a Biodynamic approach in her hands-on practice. 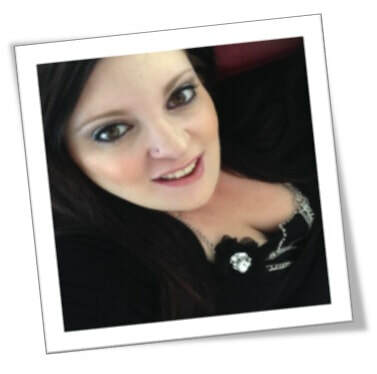 Maggie has a love for animals, especially dogs and is a Canine Massage Provider. Maggie is a graduate of The Lang Institute for Canine Massage (LICM) which is the only state-approved training program (663 hours) that offers veterinary medical massage. Maggie Norton is approved by the National Certification Board for Therapeutic Massage & Bodywork (NCBTMB) as a continuing education Approved Provider. She has a private practice for healing sessions and readings, please contact her for details. High end crystals, crystal grid art work, hand made leather goods​. Intuitive Tarot Reader, Reiki Healer and More… I believe that Tarot is one of the many metaphysical tools that enable us to look into our lives and find some extra information we hadn’t really understood or known about before. It awakens our intuition and puts us in touch with our inner world. It can confirm things we’ve always known (our inner wisdom) or add a new perspective to a perplexing question or problem. A Tarot Reading provides a method for meditation, reflection, contemplation, problem analysis, brainstorming, decision clarification, stimulation of intuition, self-understanding, spiritual growth, and divination. It may even be predictive. I am an “Intuitive” Tarot reader and I bring years of experience and study to my readings. 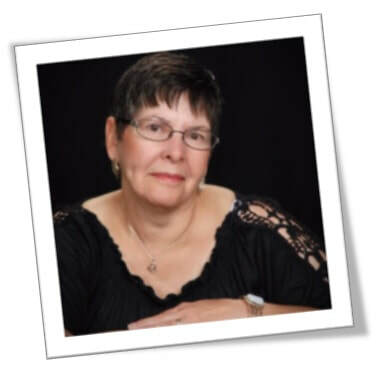 I am a member of the American Tarot Association and have been rated Experienced Reader. I use various intuitive abilities, including clairsentience (clear-feeling) and claircognizance (clearknowing), to interpret what the cards are saying. Each card has a multitude of possible meanings, some of which are not found in any book and my intuition tells me which meaning is the right one for the client and the situation at hand. I am also a Reiki Master/Teacher and a Crystal Healer. 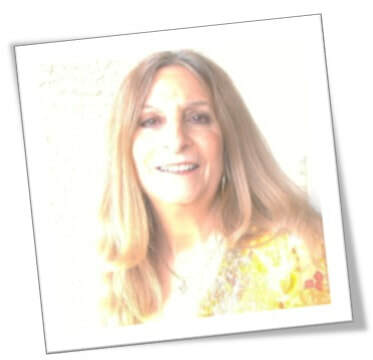 My name is Martha Weisman and I am a Certified Intuitive Angel Energy Healer and Communicator for Animals. Since I was a child, helping people and animals has always been paramount to me. When I discovered the remarkable gifts I have, I searched to find the optimum way to assist animals so they could live happy and healthy lives. In a typical healing session, I start off by checking the animal’s energy field and determine where the blocks or concerns are. I usually do this while placing my hands over the client’s picture, a surrogate or the animal itself. I will help to clearing away any physical, emotional, mental or spiritual problems and/or whatever my innate knowing tells me or at the human companion’s requests. When I do my Intuitive Angelic Energy Healing, I may call upon the animal’s higher self, Guides, Arch Angels, Healing Angels, Ascended Masters, etc, or a combination depending on the situation and what my intuition tells me. During the healing, if I receive any messages from the Animal or Angels, I will pass them on. My gifts will assist in the healing of your animal, help during end of life transition, and/or bridge the communication gap between the two of you. Mary Versosky, owner of Auras and Angels, is a certified Hypnotherapist, a QHHT Practitioner, certified by Dolores Cannon, an Angel Therapy Practitioner® and Medium, certified by Dr. Doreen Virtue. Mary uses the 3D AuraCloud to give you Aura and Chakra Photos with comprehensive Mind-Body-Spirit analysis through the science of Biofeedback, Color and Energy. She interprets the photos to provide you with insight and guidance. The AuraCloud aura and chakra camera measures the electromagnetic field, body temperature and moisture of the left hand to provide the data a highly accurate analysis that can provide you with up to 17 detailed pages of information about your energy system, as well as the most amazing aura and chakra photos you have ever seen. You can actually see your chakras spin in real time. 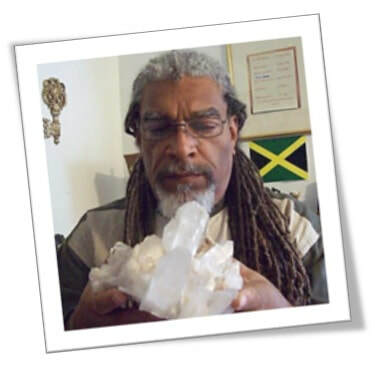 ​Ogonite: "Reiki in Solid Form!" Otherwise known as biomagnetic energy, orgone devices provides ongoing EMF protection, increases life force energy and raises the vibrational field of water, food and other substances. Purify your personal and environmental state with one of Meggie's unique life enhancing orgone pendants, pyramids and/or coasters. Meggie also offers negative ion generating USB Himalayan Mini Salt Lamps and Crystal Salt Aroma Lamp diffusers. 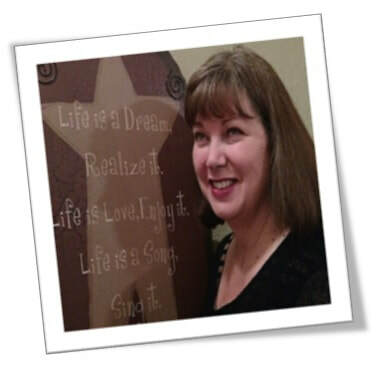 ​Michelle is a Medium, Intuitive Life Coach and Angel communicator. 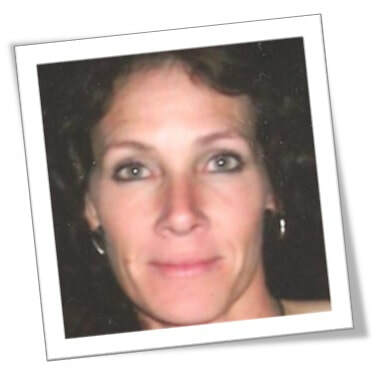 She receives messages from loved ones who have crossed over, as well as Angels and Life Guides. 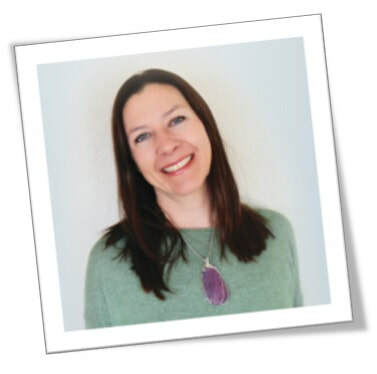 During readings Michelle is divinely guided by the client's Spirit Team to lovingly empower, direct and validate each individual. Michelle helps each person she reads to raise their vibration, clear their energy and understand that they are not living life alone. Each of us have a Spirit Team of love ones that are helping us from the other side. 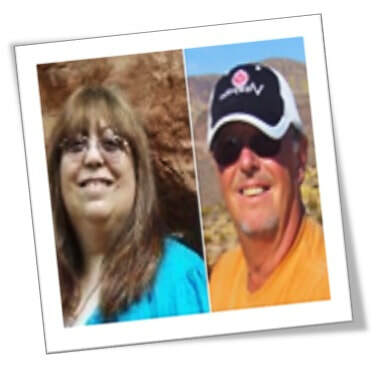 Michelle and Richard have been offering frequency protective and wellness bands and jewelry for over seven years throughout the southwest. They found that after retirement, their energy, balance, strength and coordination were decreasing. Searching for a natural remedy, they learned of frequency-based jewelry including the “Bionic Band” brand that naturally block electro-magnetic fields from interfering in your body’s natural energy, balance, strength and coordination. In working with repeat clients over the years and seeing the success of this natural healing, Michelle and then Richard were drawn deeper into holistic healing and both are Reiki Master Teachers offering Usui Holy Fire Reiki supplemented by the frequency jewelry to both humans and animals. Michelle is a member of the ICRT’s RMA. Recently, in Michelle’s work sharing Reiki rescued and abused horses, the Bionic Band Company donated a quantity of special equine Bionic Bands for use with the horses with arthritis and inflammation to help their bodies heal. 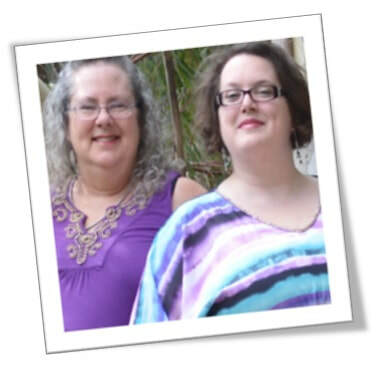 ​MnVeez Crystals was created by Misty and Veronica a dynamic Mother and Daughter duo. We developed this shop out of pure love for the items we sell and enjoy helping others on their life's journey. We have happy Crystals that have all been given a loving Reiki charge. We offer a large variety of inventory and love to take special requests. Tapestries, Wands, Pendulums, Incense, Raw Stones, Tumbled Stones, and Singing bowls are just a few of the items you can expect to find at great prices. You can also shop online @ www.etsy.com/shop/MnVeezCrystals.com or www.MnVeezCrystals.com. Mention you saw us at the show and you will receive a 25% discount for your online order. Natures Jewelry Designs offers unique handmade Reiki energy healing and Intention gemstone and beaded jewelry inspired by love, spirit, and nature. It helps the wearer attain a balance of physical, mental, emotional and spiritual well-being while strengthening your energy field. We are all made up of energy, frequency and vibrations. Every gemstone has its own properties and vibrations along with healing benefits. We create our jewelry to enhance the stone's natural beauty and spiritual power. After each piece is finished, it is infused with Reiki healing energy, unconditional love and prayer. We are now offering Sound Vibration Healing Sessions also. We offer Reiki, Color and Tuning Fork Therapy. These will remove any blockages, restore and rejuvenate your soul to its highest good. We combined our love of jewelry, spirituality, rock hunting and art, to create a one-of-a-kind pieces, created just for you. You will find lots of wire wrapped pendants, gem stone beaded bracelets, necklaces and earrings. We combine gemstones with Swarovski Crystals to diffuse negative energy. ​Victoria Spears "Nature's Healing Treasures"
I believe that nature has a very healing effect on people. This is why I design natural wood, crystal and semi precious stones art work. I have also been blessed and honored to be able to photograph Angels and Fairies. I feel the reason for this is to remind us that we are not alone and that we are deeply loved. 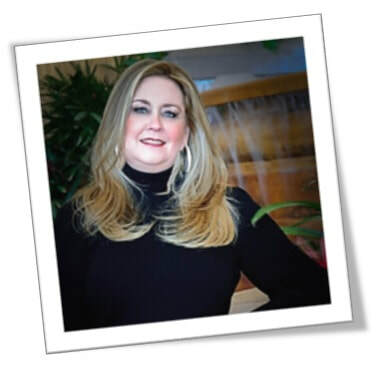 Susan Valandra is a Board Certified Holistic Nutritionist and has been maintaining her nutrition consulting practice, Nutrition 27, since April of 2013. She studied Holistic Nutrition at Southwest Institute of Healing Arts and The Energetic Health Institute. 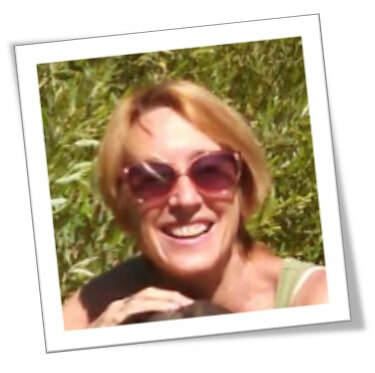 Susan has been a Teacher of Holistic Nutrition at the Energetic Health Institute since October of 2017, as well. 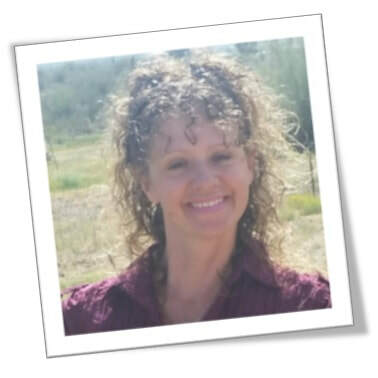 Susan found her passion for holistic health and wellness back in 2009, after getting terribly sick and having an arduous journey back into her own health. 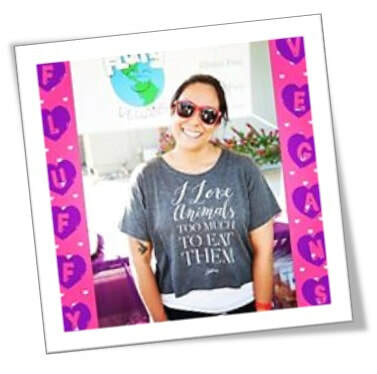 Through this experience, she was empowered to study Holistic Nutrition and share her passion by educating people on how to use food as medicine to maximize their energy production. Susan takes a holistic approach to wellness and incorporates more than just nutrition into the overall wellness plan. The foundation of all her Nutritional plans is education. Educating her clients on healthy eating principles, how to alkalize the diet, and how to avoid environmental pollutants is just the beginning. Along with education, Susan provides Custom Nutritional Plans for those in need of extra support in healing. 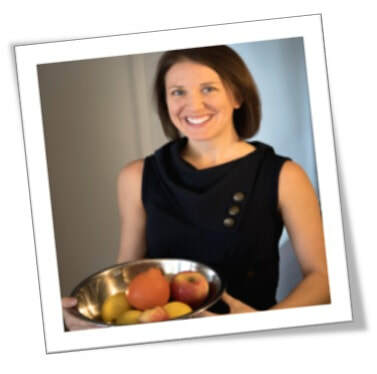 Susan offers individual nutrition consultation packages, Food Allergy and Microbial Organic Acids Testing, as well as practitioner-grade supplements. She would be honored to help you energize YOUR nutrition and lifestyle! Is something missing in your life? Do you seek love? Happiness? More abundance? Almost thirty years ago, Patia Stanton found herself in an abusive relationship, working a dead end job and failing as a single mother of two. Desperate for a better life for herself and her children, she began to seek out knowledge. She made connections with enlightened mentors and attended holistic institutions. Implementing the principles and skills she acquired in the Law of Attraction and other Universal Laws, Patia was able to manifest her perfect partner, a successful and lucrative business, and a rewarding family life. 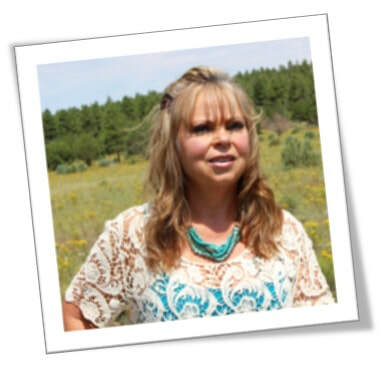 Patia is currently pursuing her degree in Metaphysical Science at the University of Sedona, Mind/Body Psychology at the Southwest Institute for Healing Arts and is a Certified Law of Attraction Practitioner with on going course studies as a student of Rebecca Hansen at the Law of Attraction Training Institute in Canada. In her practice, Patia partners with her clients as she guides them in the process of identifying limited beliefs and habits that are blocking them from bringing their hopes and dreams into fruition. She utilizes a host of tools, techniques and modalities, integrating her knowledge, experience and intuitive skills to empower her clients develop their own personal roadmap to unparalleled happiness, authentic love and absolute abundance! 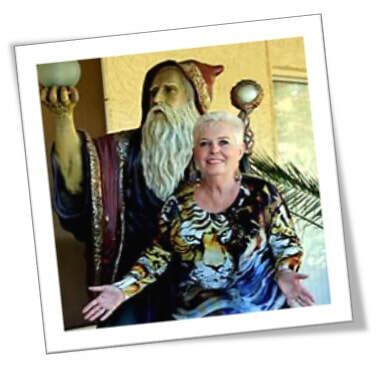 Patty Weick is a Psychic, Medium, Energy Healer and Spiritual Teacher. She brings her wealth of joy and laughter into all her readings, healings and workshops. She will connect with you and access your Sacred Contracts, Past Lives and Akashic records to provide clear communication to help you understand and heal what is going on with the issues in your life. She will help you clear what is keeping you from moving forward. She may also use her ability as a Medium other healing modalities that are needed to help you release what is no longer serving you. She teaches the spiritual tools that help you to be the best you can be. 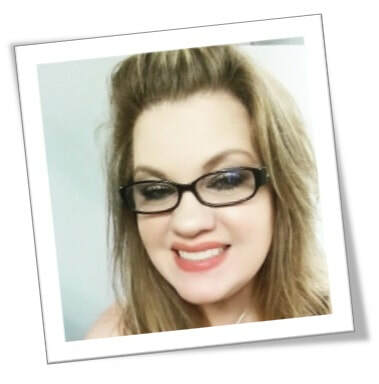 Henderly Ramsey, owner of Phoenix Rising Wellness, LLC, is a certified yoga teacher who loves to share her knowledge and insight about yoga and wellness related topics. 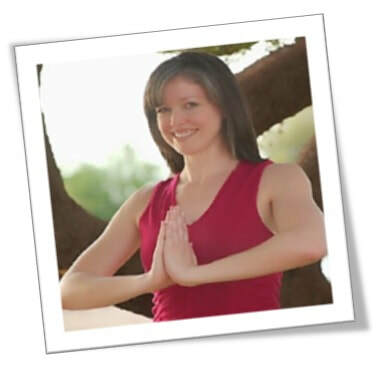 She holds a RYT200 through Yoga Alliance, a Certificate of Completion in Yoga Instruction through Scottsdale Community College and a Certificate of Completion in Yoga for Post-Traumatic Stress through Spirit of Yoga. She has also received training in Restorative Yoga, Yoga for Scoliosis, Yoga Therapy for Low Back, Yoga Therapy for Knees, and Kid’s Yoga. Henderly believes we can all weave yoga into our everyday life and shows us how we can do yoga at home and on the go, all without props or specialty clothes. She teaches in many settings, such as group classes, the workplace, private lessons, resorts and workshops. Besides her passion for yoga, she is an avid proponent ofnatural products in, on and around your body. She dedicates much of her time to educating people on CBDs and our endogenous cannabinoid system and believes that if we feed our body CBDs, it is possible to develop a healthier endocannabinoid system and, almost certainly, a healthier life. Incorporating wellness and nature into her everyday life, she makes her own natural body care products such as deodorant and foot scrub along with all-natural household cleaners. From sharing the word of CBDs, to making her own wellness products, Henderly believes that the natural way is the ideal way and encourages all of us to make wellness a way of life. 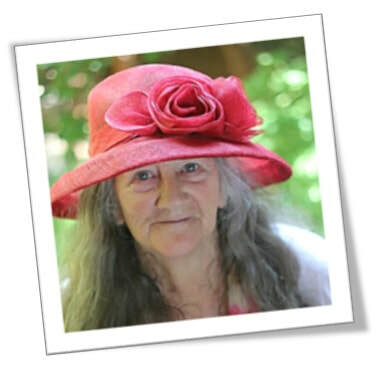 Sunny is an Empath, Channel, Clairaudient, Psychic, Dream Enterpreter, Tarot and Rune Card Reader for over 40+ years and third generation Strega. Her specialties are Love, Romance, Career and Money. Gifted from birth and taught at nineteen by her Strega Aunt Rose, Sunny embraced working the Pendulum and helping clear people of negative energy. She quickly became proficient at channeling her Spirit Guides and enlisting them in helping her help others. For many years, Sunny kept her gifts limited to only those close friends and family members who understood her talents. But, with the death of her companion of five years, Ed, and the passing of her beloved oldest cat and “familiar”, Samantha, Sunny decided to “be about her work” and go “public”. Since then, she has used the Tarot, Pendulum, Rune Cards, Saint Cards and her abilities to interpret and pick up on energy to enlighten and support others. 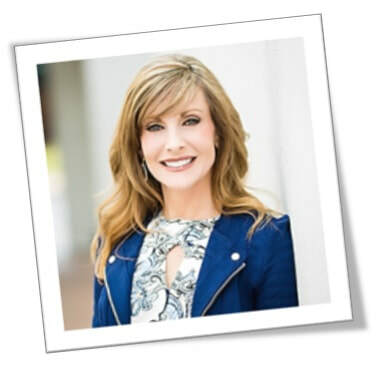 Sunny has a Bachelor’s Degree in General Studies, credits towards a Master’s Degree from ASU’s Cronkite School of Mass Communication, and is a SWIHA Certified Master Life Coach, graduating in 2010. She is a Certified Reiki Practitioner, adding Negative Energy Clearing and teaching Tarot, Candle Burning, and Rune Reading to her services. 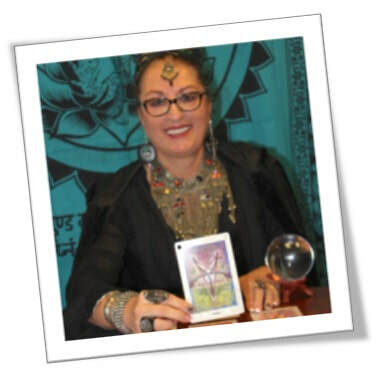 She is also a featured reader on the International Phoneline, “Psychic Power”, as well as “Celebrity Psychics”, “Mile High Psychics”, and the “American Psychic Association”. Sunny has often been called “The Psychic’s Psychic” because of the many intuitives who regularly consult her. Today, Sunny enlists Ed in the Pendulum to help her guide others through life’s journey, as well as teaching others Tarot, Candle and Incense Burning and Rune Reading. She also is the first and, to her knowledge, the only, to use the Universal Transparent Tarot – a deck read much differently and used to show an entire situation - both what is known and what is unknown. And, yes, the name Sunny also came from a Spirit Guide – her first Ouija Board Spirit, Chief Hawkwise, who says she is his daughter, Sunny, reincarnated. Sunny lives in Rio Verde, AZ, with her Life Partner, Larry, dog Chelsea and three disabled cats, Felicity Gertrude, Milo Emile and Thomas Augustine. 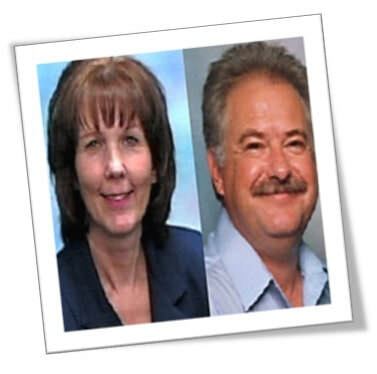 Dr. Lina and Dr. Moses are the owners of a brand new state of the art chiropractic facility that focuses solely on the function of the nervous system. 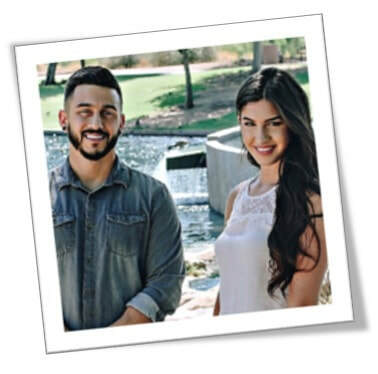 Both Doctors graduated from Los Angeles Chiropractic College and moved out to Arizona to serve the community of Scottsdale, with principled chiropractic care. Dr. Lina and Dr. Moses are passionate about restoring function and helping the body heal itself as it was intended to, allowing each and every individual to live their full potential. Their goal is to serve and educate families about chiropractic care and the innate intelligence of the body, allowing more individuals to live a long healthy and happy life. Purple Lotus Productions is a family owned business run by a Mother and Daughter Duo, Erin McNamara and Robin Selby. Robin started helping keep Erin organized while doing readings at Psychic Fairs. When Robin began displaying her hand crafted items people were delighted and Purple Lotus was born. The collaboration of Robin, through her artistic gifts, and Erin, through her intuitive gifts, creates products and services that offer encouragement and inspiration for your journey of spiritual enlightenment and awakening. These items are fun and beautiful bringing healing and joy to body, mind and spirit making them excellent gifts for yourself and others. PLP’s offerings include Bath products, Hand Crafted Cards, One of a Kind Art Pieces, Amazing Jewelry and Reiki, Tarot, and Healing Sessions. As well as Workshops, Parties and Expo Production. Like them on Facebook www.facebook.com/PurpleLotusProductions to learn about new product offerings and events and shows where you can meet them in person. Energy Release Facial - Release toxic emotions and old vibrational patterns and blocks, restore healthy thought patterns regarding aging, self worth, self image and confidence. Renew your youthfulness by clearing negative body programs. Mimi is a Real Inspiration for many. Former owner of Mystic and beyond, Spiritual Journey and The Energy Creation. Current owner of The Universal touch. Mimi is available for private events, parties. fairs, corporation's both in the United States and Internationally. 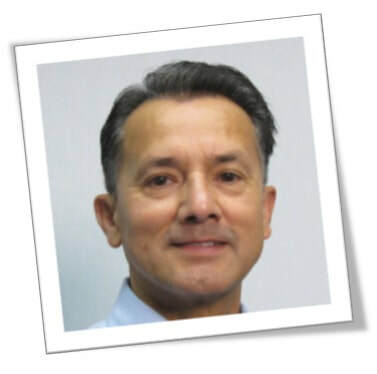 Ricardo Avila is a lifelong resident of Arizona and moved to Tempe in 1976. He has lived in east valley for about 40 years. 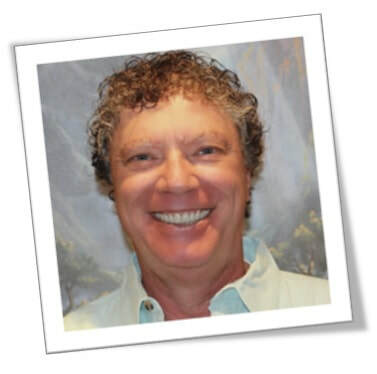 He has been studying, practicing and teaching Touch for Health and Applied Kinesiology for about 20 yrs. First learning martial arts applications and transitioning into healing applications. A Phoenix-based Psychic, Medium, Teacher, Shaman, and Open Channel, with a long-standing, successful practice in the Valley of the Sun. She is a heart-based, gifted clairvoyant, clairaudient, clairsentient, and claircognizant who enjoys helping others on their evolutionary path. She is excellent at assisting clients with all types of issues and situations, such as career, finances, health, moving and relocation, romantic and professional relationships, past lives, connecting with deceased loved ones or one’s destiny. Her readings provide clarity, hope, and solutions to almost every problem on a physical, mental, emotional, and spiritual level. I am a shamanic healer who was gifted the medicine of Grandmother Spider to help people heal. I am a facilitator who helps you heal yourself through the magic of the Shamanic Arts, as well as other gifts. I am a strong intuitive, clairvoyant, clairvaudient, as well as an extremely strong empath. I was a gifted child, and honed my skills in Florida, Sedona, as well as Tucson (we never stop learning). I see and feel auras, spirit guides, and can even sometimes communicate with those who have passed on who have messages for us. If you have pain, especially chronic pain, I’ve been known to release and relieve it, sometimes permanently. What I am offering: I will begin my clearing away the negative energy you are holding on to, then I align and open up each individual chakra. As I go about doing this, I am led to move my hands to the areas on your body that needs the most work. I get messages in as to what is the root of the cause of your dis-ease, and I share these with you, letting you know how to change things. I help you to understand and release why you feel stuck. All throughout, I am doing energy work on you and helping you to understand what is happening. I am very big on teaching, not just doing. At the end of each session I will answer any questions you have, and you may choose an oracle card to read if you wish. Michael is a compassionate and talented local artist presenting beautiful displays of Crystals, stones and Gems. He is committed to supporting peoples efforts to influence their lives by changing their vibrational energies. The use of crystals can inspire, enlighten, energize, balance, relax and heal us. Since different people react in different ways to crystal properties I like to keep in touch with clients to hear their experiences with crystals and stones. Michael offers pouches containing a variety of stones crystals with "Heal Appeal" for specific benefits. Crystal Wands, spheres, clusters, tumbled stones and raw are individually chosen and cleansed and handled with respect. They are chosen for their sparkle, color, energy, and clarity, and he tries to get the best deal so it can be passed along. He intends to offer a supportive healing vibration to your energy field,or Chi, by the use of these crystals to improve overall well-being. The descriptions and qualities of stones and crystals refer to their healing benefits and are not intended to replace medical diagnoses or treatments. For the past 4 consecutive years, Storm Wisdom has been recognized by the readers of Natural Awakenings Magazine for Spiritual Center and Enlightenment Gift Store in their ‘Natural Choice Awards’. 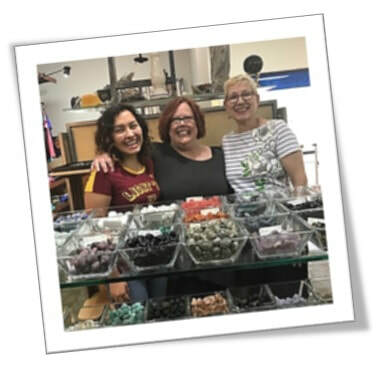 Storm Wisdom is an upscale retail and event space that features art, jewelry and gifts created by over 45 local artists, crystals, home decor and much more. They have an active group space that is used by local, national and international teachers, facilitators and meditation leaders. There are a wide variety of spiritual or personal growth workshops and seminars that are featured every week. Our purpose is to be of service to people who are suffering through healing, connection and coaching. At Blue Butterfly Inspirations we offer many different types of services to fit your needs. Tammy uses multiple modalities in her healing work. 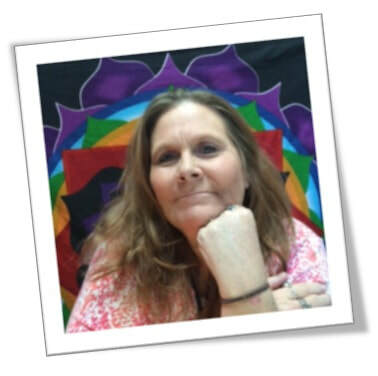 She is a Certified Crystal Healer, a Reiki Master, Crystal Reiki Master and Sacred Stone Grid Practitioner. 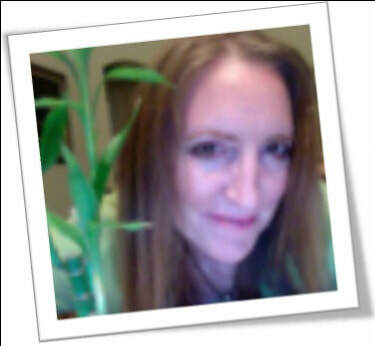 She is also a Certified Angel Card Reader and Certified Crystal Reader thru Doreen Virtue. She uses herbs and essential oils in her healing work and creates vibrational sprays and roll on oils. She is certified to teach Crystal Reiki and Sacred Stone Grid classes and is working towards her aromatherapy certification. John started drawing at a young age and later in life found his joy in writing. His love of art and writing has lead him to create oracle and rune cards. It is his hope that others will find inspiration in the images and phrases that he has created to help those seeking guidance on their path in life. 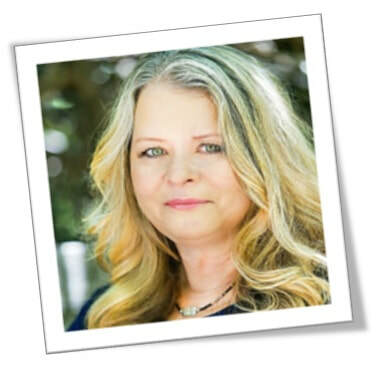 Tana Karen helps individuals, couples & families quickly, effectively resolve challenges & issues in their lives, assisting her clients in matters of personal growth, sleep, health & wellness, stress, relationship, vocation, spiritual practice etc. The holistic guidance, healing & integration of Tana's work helps people thrive. 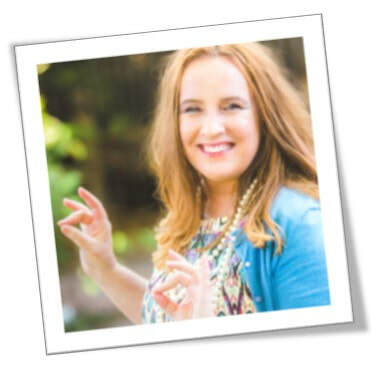 Tana's work combines a lifetime of training & practice as Life Coach, EFT Tapping Practitioner, Counselor, Holistic Health & Wellness Coach, Seer-Intuitive, Healer & Minister. Through her Heart's Core Tapping & Soul ReImprinting, an advanced form of the world's most effacious EFT therapy, Tana works seeming miracles! 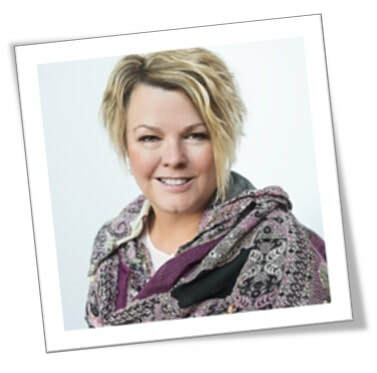 Intuitively, Tana quickly pinpoints & addresses the core of her clients challenges & works with her clients to easily & comfortably release any limiting or non-supportive patterns such as experiences, emotions, thought forms, fears & anxiety, core beliefs, stress, decisions, pain, behaviors etc. Through teamwork, they then lay in positive & healthy scenerios, programs, thoughts & emotions. Born a gifted Healer, Seer-Intuitive & Empath, Tana trained with world renowned doctors, counselors, healers & spiritual masters, receiving private high level instruction in order to further her capacity & devotion. 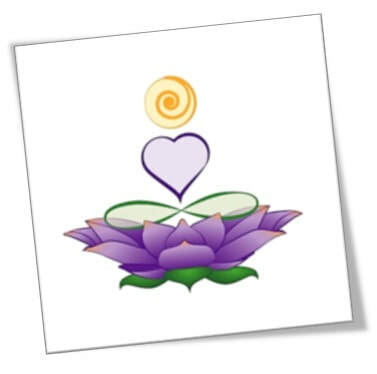 Advanced degrees in psychology, counseling, spiritual & holistic healing & a holistic lifestyle lend the perfect foundation to her 30 year private practice, classes & workshops. Tana is a frequent radio & TV program guest. I’ve been having my own thermograms done since 1998. It is the best way “for me” and my doctor to monitor my health. I became a Thermographer in 2010. I felt so strongly about the technology and the information obtained through thermography, I made it my mission to share the news and let people know, we have options, especially, for breast health. I offer several options of Screenings from Full Body, Half Body, Breast Screening and more. Thermal Imaging shows where there is inflammation in the body, pinched nerves, unexplained pain and much more. It is 100% safe, there are no side effects from getting your picture taken. No Radiation, No Contact, No Pain! Safe for EveryBody! Clinical Thermography, also known as infrared imaging, is based on a careful analysis of skin surface temperatures as a reflection of normal or abnormal human physiology. Disease, cancer, illness, they don’t start as disease or cancer. Precursors can be identified with thermography. This technology shows where inflammation is in the body, estrogen dominance and lymphatic congestion. It can also show where there may be an impingement, digestive issues, thyroid issues, periodontal, just to name a few. It is a test that compares You to You, comparing the right side of your body to the left. Our thermal print is like a thumb print, it should always be the same. ​We are giving away free information about the World Brotherhood Union and the Knowledge Book. I’m NOT sure how this works, but it Does! This is NOT a massage! This is a type of physical therapy. Done with the principles of ancient Asian healing arts as well as techniques from Hawaii, Australia, & England. All done while clothed sitting in a very comfortable chair. I have been doing this work for more than 20 years! Usually after the session, you will be more flexible, thus your circulation will be improved and your energy level increased. If you have arthritis, you will breathe easier. You will do so with less tension in your muscles. (left there from “Gripping” so tightly) this is also good for other respiratory problems. I have worked at many conventions, trade shows, special events, offices, senior homes/rec centers, flea and farmer’s markets, always with the massage chair, In the open, with the clients clothed. I have worked on more people in the chair than on a table. 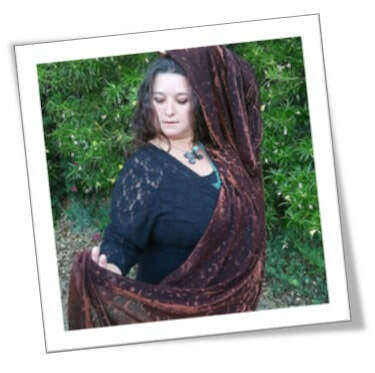 Zanna has been a tarot reader for 12 years and does private readings in her studio as well as at large events. She is also a Reiki Master and healer; a certified AromaTouch (clinical massage technique using essential oils) practitioner; a Transformational Coach; a Crystal Healer; and a Chakra Healer. Zanna began her spiritual journey as a child with a heightened intuitive sense, understanding the call on her life to bring the message of Divine Love to all. After obtaining two baccalaureate degrees, Zanna went on to study at United Theological Seminary and graduated with a M. Div. degree. She also studied and was attuned as a Reiki Master in both Western Usui and Holy Fire Reiki lineages. Her experience and education comes together in her understanding and use of healing modalities, ritual, spiritual counseling, and intuition. Zanna has healed individuals, communities, families and couples. She offers a tender and loving attitude that creates a safe space for people to begin their healing journey. You can find some reviews and additional information on Yelp under Living Oasis Healing Studio. Here’s a link to her tarot reading page on her website: http://livingoasishealing.com/tarot-reading-1/. ​Crystal Chakra Tarot – a synergistic reading that allows each client to choose 7 crystals and 7 cards, each correlating to one of the major chakras. Readings include crystal healing for each chakra and a tarot message related to the chakra’s energy/influence in the person’s life. Participants walk away with chakras balanced, and clarity for how to maintain the balance while going through their daily lives. Debbie Z is offering inspirational Angel readings using her unique deck of Zibu symbol cards that she created. Debbie shares with her clients the Angelic messages she hears, sees, and knows in her heart. Each reading is filled with hope, love and encouragement, and is summarized with a personalized combination of symbols drawn out for the client for future use. 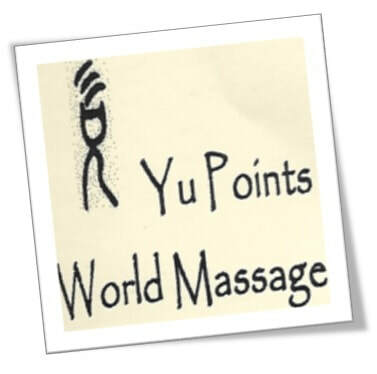 Energy work is also provided in the form of infusions of healing energies via symbols. Debbie will also have a variety of powerful Angelic energy-infused jewelry for purchase. Her jewelry is made of various metals in the form of Zibu symbols enhanced with semi-precious gemstones, to be worn as a necklace or held as a talisman. Copies of her 2007 published book “Zibu: The Power of Angelic Symbology” will be available for purchase which is an outstanding resource book with clear images of 88 symbols plus channeled messages about each one.